We finally got around to making another style of tote, this one based on one of my all-time favourite songs, "Some Velvet Morning" by Nancy Sinatra & Lee Hazlewood. It is the dreamiest of songs, the sweetest of fairy tales, the most nonsensical Greek myth-referencing pop song that I have ever heard. Whenever it comes on I find myself singing along & sounding quite out of my mind. I associate the song with these sorts of images (for the source, click on the image). It has been added to the shop. I couldn't be more happy with the response to our simple totes; I basically wanted something for myself that didn't exist. So we made them. I love seeing pictures of people using them. I created a gallery for the ones I have seen so far on Flickr. The very last of this Dream tote is available at Tomorrow Never Knows, but once that one is gone, that's it (and this post made me cackle out loud). erin: Those sound like really great goals, Erin! Soft items. So beautiful. curatingcuteness : Thank you! Yeah, it can be hard to try to filter everything out, but it's worthwhile, for sure! I know, I love that image, so I'm glad you like it too. 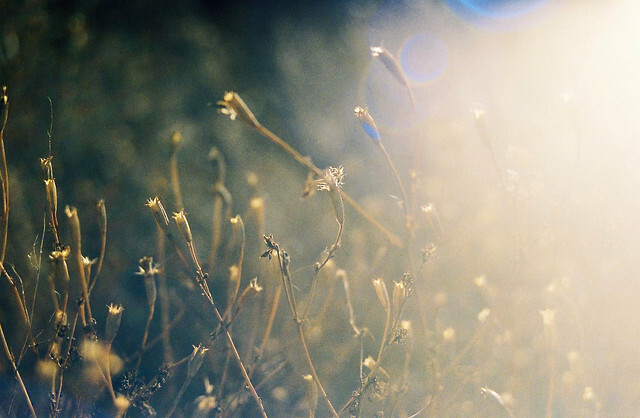 m.bardeaux: Thank you! I know what you mean about natural fibers. That one is so hard! I do buy polyester blouses sometimes, at thrift stores, but only because they can be so inexpensive and pretty. But I'm definitely becoming more selective. Your 5 year rule sounds like a really good idea. Alicia: That's sweet of you to say, but I guess the blog doesn't really reflect how I dress myself on a day-to-day basis. I mean, when I leave for work most days I find myself wishing I were invisible because I don't want anyone to look at me! I think your goals are great, and sound a lot like mine. I'm glad that there seems to be some of that sentiment going around! Siubhan: Thank you, Siubhan! I feel like a fool when I look through my closet, it's true. So many things I've never worn. 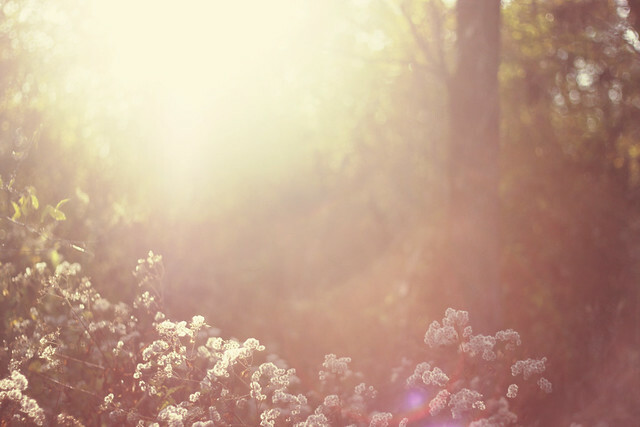 And it's true: I would LOVE to live in perpetual springtime. That's funny that you mention the weird hyphenation! I've become supersensitive to hyphenation since I've been working as a typesetter and I actually think it can be a really neat design accent (that is, the results can be graphically interesting) -- but since I work in the academic publishing field I have to be careful! Darcy: That sounds absolutely delightful. All of it! I love the idea of dyeing only a piece of hair... maybe I will think about that as well. in dreams: I hear you on the work clothes! I work in a place where I can generally wear whatever the heck I want to (I have strolled in wearing ruffled vintage party dresses...?! ), but as I get older I want to look a little more polished without being boring. Impossible to accomplish, it seems, especially without going to H&M or The Gap or Joe or whatever. I find that with blogs, I sometimes see the same things posted over & over so I get sick of them before I even have the chance to covet them! Ha. And thank you for that! Neon Relish: I think that you can do it all, Casey! I don't think the two are so vastly different. I can see a cute striped top being worn with a muted peach skirt... why not? But I wish you luck in trying to figure it all out! Janelle: I still have tons of clothing from H&M and a pair of pants that I bought there in a hurry last summer are the only pair that I will wear. But if I can spend my money more wisely, I think I will feel better about everything. I'm glad you agree! Moorea Seal: Thank you! I'm glad you said that, because it's winter where you are too. I was worried these colours would be too spring-like. I think they're wintery as well. That outfit you described sounds delicious. I too have to dress with the boobies in mind. It's kind of a drag! My kingdom for an A cup! hellojenuine: Aw, that is so nice of you to say! I'm glad you noticed. It's easy enough to leave the fast fashion out. Besides, those companies certainly do not need the free advertising, particularly when they make huge profits by using poorly paid labour. Reading comments like yours really make this whole endeavor worthwhile. So thank you. sweetie pie press: I agree with you on the colouring issue! Whatever you feel good wearing. Your mending talk is making me think that I shouldn't give up on my favourite pair of shoes -- I'm going to try to have them fixed. They were pretty expensive but maybe there is life in them yet! Also, your "no rules" "rule" is pretty great. Rules are so besides the point when it comes to dressing. sew nancy: Ha! But they do sparkle. Thank you! I think red is such a great colour and I wish I could feel comfortable wearing it, but I just don't. That might change at some point, no doubt. I know, the cape is fantastic. Caitlin McMahon: Thank you! So sweet of you to say. Lexie, Little Boat: That sounds great! I'm so glad it worked for you -- that's what I want to do, too. Thanks! I'm glad you like the glasses. Julia: I admire your goals! I would like to be able to make more of my own as well but it's just so hard to find the time -- I tried to make a dress over the holidays but it was demoralizing. Didn't go so well! I just have to practice, I know. Thank you for saying that -- right now I feel like a poorly-dressed frump! Ha. EvaForeva: Aw, thanks. I don't wear my hair up too often, actually. Just the occasional ponytail. I like how my face looks better with hair framing it, since my face is so large! I used to wear the occasional topknot but I'm tired of how it looks. erin jane / atlantictreefox: Aw, thanks, buddy! Yeah, let's have less of those regrets! It's such a waste! shin ae: Ooh, long, grey hair would be so nice to have. And thank you, that is so sweet of you to say! hibou: I think that recognizing that we are a little older (even though all the images we see everyday are of young women) definitely brings on these thoughts! I know exactly what you mean. I have a style that seems a bit young, I think, but I'm no teenager! And no, of course not! SJ: That sounds perfect to me! Good luck with your goals! I know that desire exactly. kater: Why thank you! I like bright colours too, but in their place! I guess just not on ME or in my home. Ha! That is really great that you associate those colours with me -- I take it as a compliment. I love your style and I feel like you don't need to work on anything there! Just keep doing what you're doing -- it doesn't seem random to me at all! jlee: Ha! I was just looking at all the stuff in my closet that I hung up without ironing... soooo lazy. I guess I should make ironing a goal too. alice: Yes! Your goals sound so great. I think half the things I own were impulse purchases! Good luck with it! It sounds as though you are on your way. Melissa Dominic: Sounds good to me! leanne: That's a great way to start. I did that over the holidays and was disappointed in how little I pulled out! I think I'll have to try again. Sharks Keep Moving: Thank you -- maybe on the blog, but in "real life" it's not as consistent as I would like, most likely because the types of things I like best just don't work on my body type. It's all pretend! I know what you mean about fashion. I feel like an outsider, but I do know what I like and what I'm most attracted to. Thank you for your sweet words! Casie Jean: Congratulations on the move! I know that feeling exactly, particularly since I seem to be attracted to clothing that is simply not meant to be worn on my body type! I don't think that sounds silly at all and makes perfect sense. That's the point I'm trying to get to as well -- it's just not too easy! Thank you for your sweet words. Ringo, have a banana! : Ha! If I lived closer I would join your bonfire. I have so much garbage that I can't stand. That's one of the things I have to keep in mind when I consider something new: will I hate it once I have paid for it and have brought it home? That happens SO OFTEN. It's irritating. Polyvore seems almost like a meditative way to think about it, then! I like things that are free and useful like that. Good luck, buddy! Camille: I think that makes sense and sounds like a great look! I agree with everything you wrote. It really is about "know thyself" in the end. Tracey: I hope you can get back to trusting yourself. It's so hard to filter out the influences of other people and remain faithful to one's vision -- in dressing as with everything else! Good luck with it, and I hope she returns as well! etre-soi: Oh yes, I associate you with pastel colours as well as red! I don't think it's sad to wear black and grey -- at least i hope not, because I wear a lot of black & grey myself. I don't think I can cut my hair too short, though... the last time I tried it was a disaster and it took me seven years to get it back to a length I was happy with! Thanks for your suggestions -- you've given me some good ideas. Hannah Percyowl: I think all of your goals sound really great! I wish I had been as self-aware as that when I was your age. Stephanie: Yeah, I know all about that discrepancy, particularly as so many of the things I'm most attracted to simply won't work on me, and yet look at that! We feel badly about ourselves about it. It shouldn't be that way! I like semi-disheveled. It's hot. I was thinking earlier today about how I wish unpainted nails were "the thing" to have as I'm starting to get tired of images of perfectly manicured nails. YAWN! Good luck! I hope you find just the thing -- it sounds as though you're off to a great start. charlotte: Thank you! I'll try to check yours out! LVE+JOY: Oh yes, I know how it changes! And there's nothing wrong with that, because I think that as long as we make good decisions & stay true to ourselves we will interpret everything through our unique filter. Or at least that's the goal! Thank you for your sweet words! Stephanie: Thanks! Good luck with your goals -- I think that recognizing what they are is a great first step! Caroline: I'm glad you like them too! They make me so happy. Michelle: Thank you! Oh yes, hair decisions are hard. I usually don't do much at all to mine and spend a lot of time wondering. Grace: Thank you! I will try to check yours out soon! Jane Flanagan: Thank you, Jane! If only it looked like this in real life. Sigh. Cassidy: Thank you! I'm glad you liked it. megan: Thank you! That means a lot to me because I really do try. It's too easy to post the same old lookbook images as everyone else! I think having a uniform is great -- after all, when you look at fashion books or magazines, writers often reference a specific person (e.g. Katharine Hepburn) who had a "uniform." Nothin' wrong with that! Happy new year to you as well! Elise / broom people: Cute! Well, I'm always happy to have a little influence! Thank you! Rizie: Thanks! I wonder if that's something that happens as we get older, toning it down! 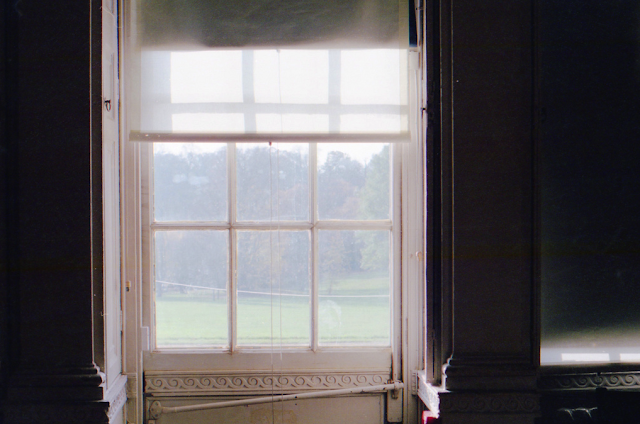 ilovesasek: I agree, I love the femininity of the colours (hoping they are not too saccharine). Hey, stripes are great! Can't get enough of them. Thank you! blorange dice: Thanks! I'm glad you like the pictures. Good luck with your goal! Miss Cris: That sounds like a great idea. I tried to do that last week and wound up pulling out less than I wanted to. But it was a start! Good luck to you as well! Orchid Grey: Yes! I think you're exactly right about the blogging world. I saw a girl the other day on the street and my first thought was "She looks so 'bloggy'" -- which made me wonder how much creativity truly exists? Is that a controversial thing to say? Ha. I love '70s inspired! I think it's an under-appreciated era, possibly because of all the poly. do you and geoff have a combined name since you're celebs now? geobela? anef? 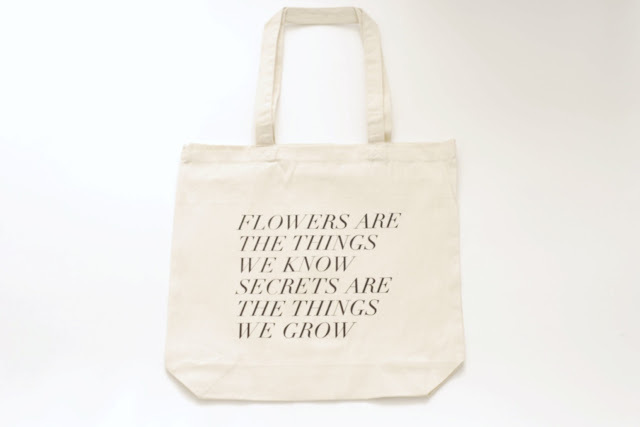 and, the new tote + associated photos are perfection. feeling that mood so much right now. I love the new tote! I will have to stop by TNK to see Fieldguided in store, so exciting! I don't know if I ever told you, but I bought one of your ties at The White Elephant this summer and gave it to Jim for Christmas. He loves it! Finally, I love that bit "I basically wanted something for myself that didn't exist. So we made them," that's the origin of the world's best ideas. OMG, I just keeled over laughing at Kate's comment. 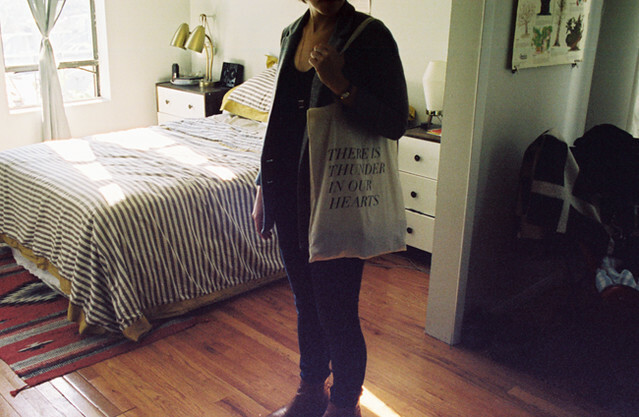 I love the new tote, and the photos that you accompanied it with. It's also great to see photos of people using them, I think I might just pick one up at TNK next time I'm there x.x. such a lovely quote on the bag! I was saying to Geoff that I always like your type setting too!! 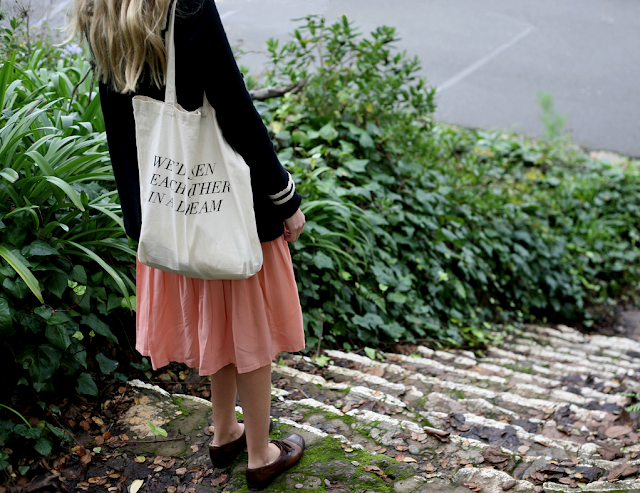 I love the photo of the second tote "we'd seen eachother in a dream". I will have to get one of those totes for myself for sure! Some Velvet Morning! Yes! I love the Primal Scream + Kate Moss cover, too. Lovely tote bags! 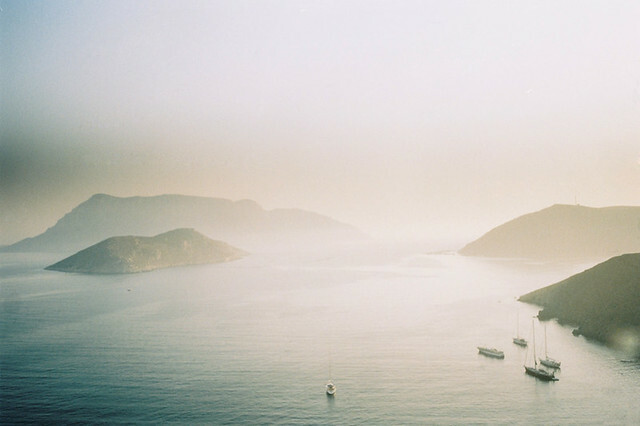 And those photographs are so dreamy! What a beautiful collection. Mmmm, the photos and words are so complementary here - you have such a great way of matching images to the written sentiment. Love. Yeah, that was a really sweet post by TMD. I can't wait to see what you will come up with next! anabela, you never cease to amaze me, and i just think everything you make keeps getting better and better; i'd like to live in a fieldguided catalog, surrounded by pastel colors and beautiful words. i love this anabela! the last thing i need is another tote bag but i totally need this one haha. Stunning photos to accompany the song!! Very, very nice. 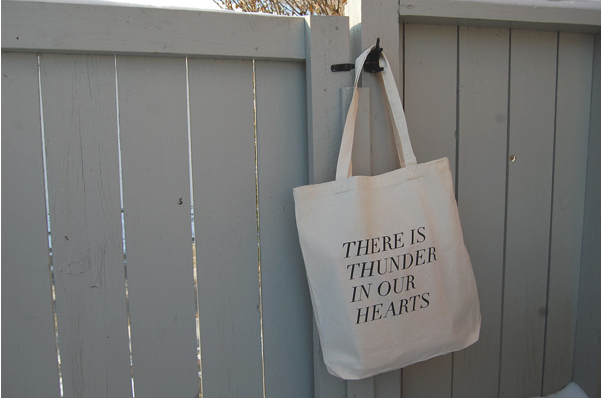 i really love the there is thunder in our hearts tote! I really love this song/video and I would love some of your designs in shirt form. Any plans to silkscreen some clothing? Hah! These just keep getting better. Fellow medievalist here (though you do perhaps not identify as such, haha)--there is nothing like some Ovidian (?) pop, is there? YES. A very practical, winsome tote inDEED. xo to you sweet Anabel, and well done on all your creative success! I love your totes, and I thought the TNK post was awesome. I'm embarrassed to say I hadn't heard this version of Some Velvet Morning, having been heretofore familiar only with the Slowdive cover. 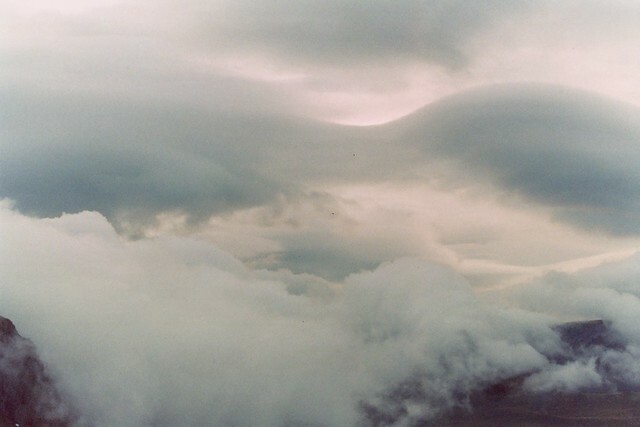 I enjoyed it, and I love your photographs. I saw one of your Thunder totes in Wellington, New Zealand the other day. It looked well loved.